SmartSoft Invoices connects directly to MS Dynamics. This way you can export document data directly to your MS Dynamics ERP. Direct connection to MS Dynamics can be made from File->Integration->MS Dynamics. 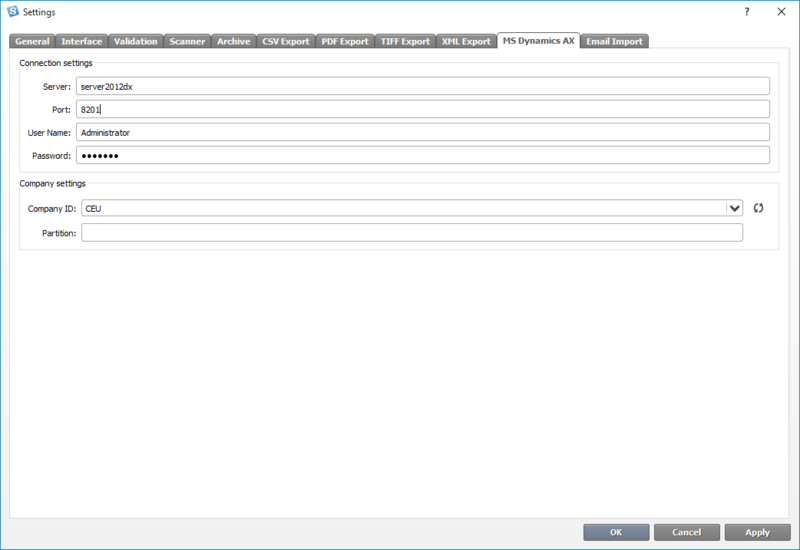 Once the ERP is set to MS Dynamics, the user must fill in their MS Dynamics connection settings. Go to Tools -> Settings -> MS Dynamics. Please note that the MS Dynamics tab will appear only after the ERP has been changed to MS Dynamics. Partition: leave empty if there isn’t any specific setting. Copyright ©, SmartSoft. All rights reserved.